We offer Climate Controlled Units! Avoid the Louisiana heat and humidity damaging your belongings by renting one of our climate controlled storage units! In our new and clean facilities, we offer both regular and climate controlled units to safely store your household belongings or business paperwork at an affordable and competitive price! Our security features of 24-hour camera surveillance, gate code access and well lit surroundings offer peace of mind to your storage experience! We also offer outside vehicle, boat and RV spaces. 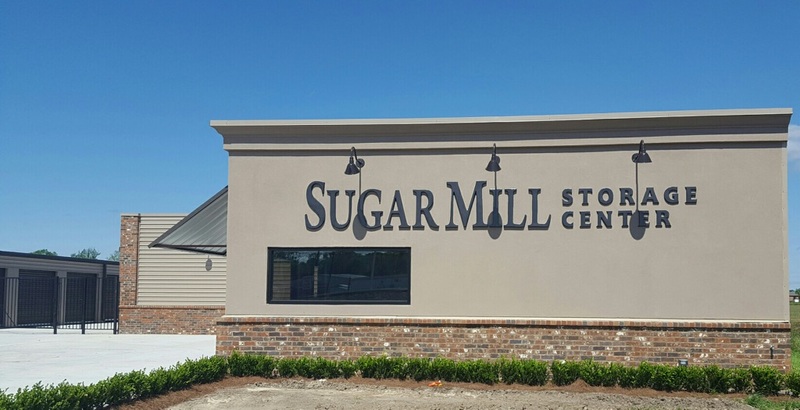 Sugar Mill Storage Center has the unparalleled quality of units to meet your storage needs! Call our professional and knowledgeable staff to learn more today! Seen from Highway LA-1, our facility is easily accessible and conveniently located at 3648 Belle Vale Drive in Addis, LA right next to Sugar Mill Apartments and near Dow Westside YMCA. Since we’re just a short drive from Louisiana State University, we’re a great storage solution for students needing extra space, as well as for businesses and residents of the Baton Rouge, LA metro area. Whether you live in Addis, Brusly, Port Allen, or even Baton Rouge, we’re eager to help you find a storage solution that fits your life! Whether you are storing household belongings or business documents, Sugar Mill Storage Center has the clean, secure and accommodating units to meet your storage needs! Avoid damage to your beloved household items such as electronics, furniture, clothing or photographs by renting one of our climate controlled units! If you are tired of paying warehouse prices for your commercial storage needs, protect your business documents with us in a secure and clean climate controlled unit! We offer more than a place to store your household or business belongings! We have RV, boat and vehicle spaces available! Our outside fenced-in spaces are well lit and secure with our 24 hour surveillance cameras and gate code access into the premise. The affordable rates for these spaces are perfectly sized for your vehicle storage needs. Reserve your space today!